When Angry Robot Books announced that they had acquired Kameron Hurley’s The Worldbreaker Saga, the first epic fantasy from the author of God’s War, I knew readers were in for a treat. Hurley’s series, beginning with The Mirror Empire, is one of my most anticipated novels of 2014, and Angry Robot Books is known for their fun and progressive approach to cover art. It’s a match made in heaven, right? Hurley describes the three volume epic fantasy as “Game of Thrones meets Fringe,” and promises that it’s the most intricate and complex book she’s ever written. Through tense alliances and devastating betrayals, the Dhai and their allies attempt to hold against a seemingly unstoppable force as enemy nations prepare for a coming together of worlds as old as the universe itself. In the end, only one world will rise – and many will perish. 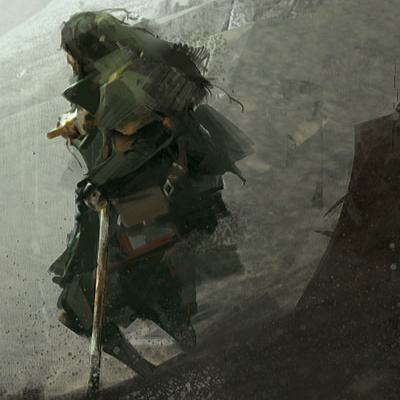 The cover features artwork by Richard Anderson, whose arresting and unique art has been featured on some of the most memorable fantasy and science fiction covers of the past few years, including Brian Staveley’s The Emperor’s Blades, and Peter Watts’ Echopraxia. I caught up with Hurley to chat about the beautiful cover, and some clues about what fans can expect when the novel releases later this summer. This cover is quite a departure from the Bel Dame Apocrypha. What does it say about The Mirror Empire? It’s certainly more a departure from the U.S. covers than the UK covers, though I see what you’re getting at. 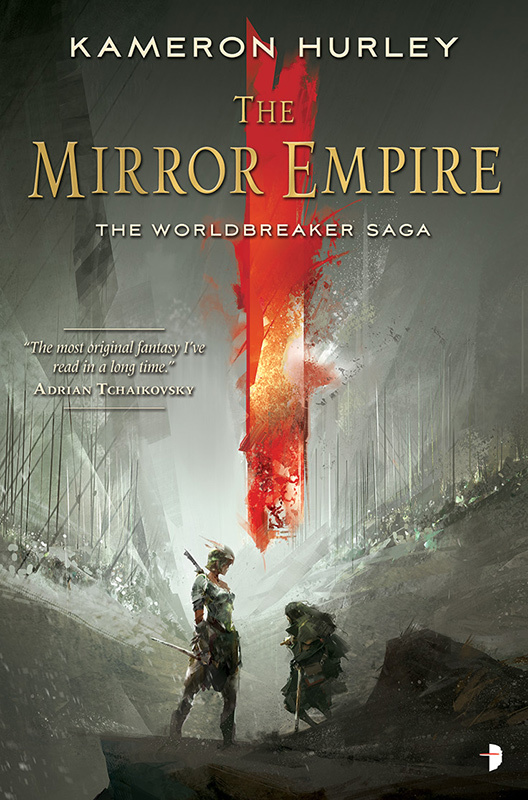 It’s apt, though, because The Mirror Empire is a huge departure from my previous books – still subversive and a little dark, sure – but far more solidly over in the epic fantasy category, with huge stakes, blood mages, genocide, flesh-eating plants, and… unexpected social dynamics. What I really dug about this cover was that it very clearly conveys exactly what the book is – a shadowy epic fantasy with world-shattering stakes. 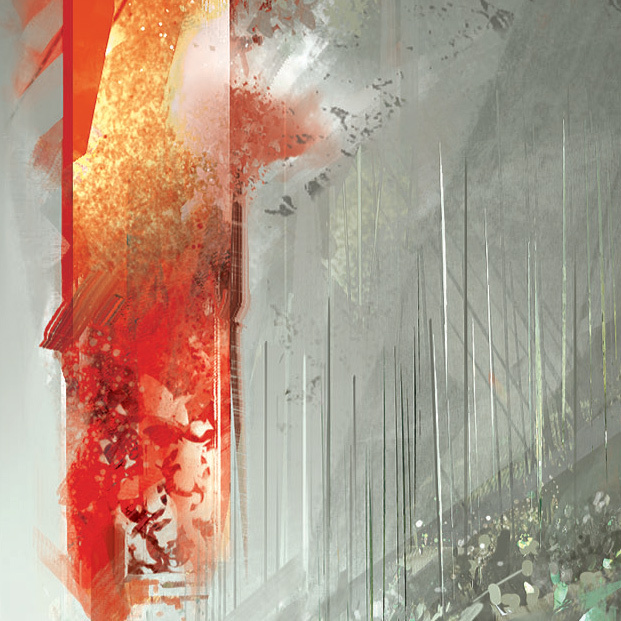 Richard Anderson delivered wonderful artwork for The Mirror Empire. What makes him such good fit for the book? 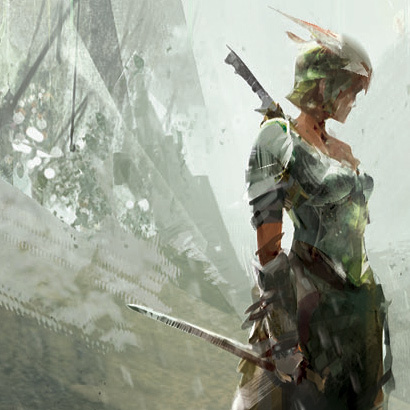 Richard Anderson has a powerful and unique way of representing light and motion. I love his style for this series in particular because it’s not realistic so much as… nightmarish? It’s a bit like viewing the world from a dirty or deeply aged mirror; a half-remembered dream. His use of color here is also striking. Writing a book where giant rifts open between worlds, I worried that the cover art would deliver a World of Warcraft-style portal. But Richard’s vision here – of a literal vertical wound between the worlds – was extraordinary. And thematically spot on. Just thanks, as ever, to the Angry Robot Team, in particular Marc Gascoigne and of course Richard Anderson. This was the least fraught cover development process I’ve ever been through (and this is number six!). Every email Marc sent I was just like, “Yes, that’s perfect. Carry on.” It was a huge relief to know I was working with folks who totally understood the book and how it should be positioned. That’s rarer than it should be in this industry, and super refreshing. “I love to work a little abstract at first and clear things up in the process, which I believe gives the viewer some space and guidance for there own imagination to play,” he finished. 2014 is proving to be an enormous year for Hurley. In addition to The Mirror Empire, Hurley is also nominated for two Hugo Awards: “Best Fan Writer” and “Best Related Work”, for her essay, “We Have Always Fought”. God’s War was a runner-up for the Arthur C. Clarke Award for “Best Novel”. 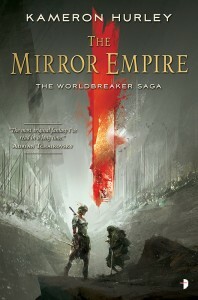 The Mirror Empire is set for release on August 26th, 2014, and is available for preorder. Nice, will be keeping an eye out for that one! Stunning! I really love the bold red detail. It makes the cover jump out at you. That’s a great cover. I love the smudgy style and the red portal is a real attention grabber. That’s an incredible cover. And AGoT meets Fringe? Yes, please. Stunning cover, can’t wait to read this one and get the physical book. Funny, that bleeding edge in the center made me think of a knife or sword cutting a bloody opening as much as a rift. Another great addition to my TBR pile! And a new (to me) artist to watch.